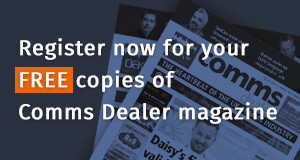 Comms Dealer magazine, digital media and our channel-focused events provide unparalleled access and quality engagement with the UK reseller community, spanning Voice, Data and Managed Services. Comms Dealer is independently audited by the ABC (Audit Bureau of Circulations) for its magazine circulation and provides the largest, requested circulation into the UK partner community. We also ABC- audit our website traffic (unique visitors) and our weekly .html newsletter. We are the only UK channel publication to audit to do this and provide a quality, audited audience for your marketing activities. An ecasting service which can deliver your content direct to the ICT Channel. Market leading channel events including the CNA Comms National Awards, The Comms Vision Convention, The Comms Dealer Sales & Marketing Awards and Margin in Voice & Data. Bespoke data and lead generation services. We also have media packs for our portfolio of market leading channel industry events.